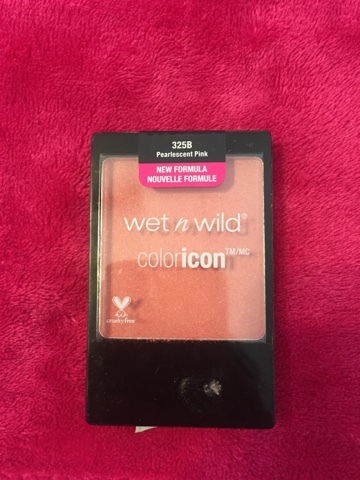 New Wet and Wild Cosmetics Review – Pinky and the Prep! The first product I tried was their new formulated blushes. I first purchased Rosè Champange after my sister pointed it out to me at target. This color is GORGEOUS! It’s a dusty rose champainge and looks great with a tan! It is the perfect summer glow color. The second color I picked up was Pearlescent Pink. This color is also gorgeous! It is a bright coral like pink. As for pigmentation, these blushes hit it out of the park. They are soft, creamy, and lay on the skin realy well. I have nothing but good things to say about these blushes! I did want to mention there is a third color of blushes that came out with the new collection that is a deeper wine color that I have yet to try. But I am confident that it shares the same great quality these blushes do! 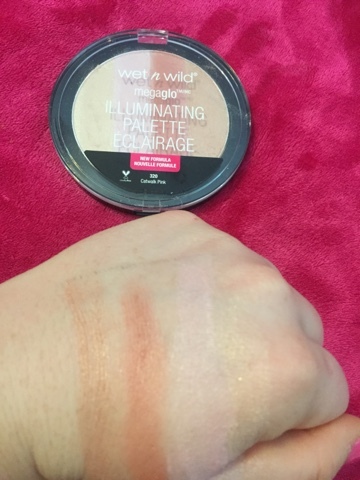 Next up I purchased the Megaglo Illiminating Palette in Catwalk Pink. 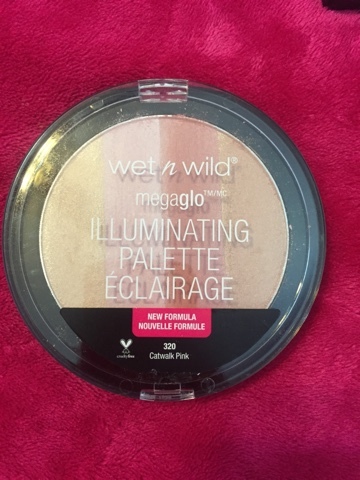 I was super excited when I saw this at CVS, because I love highlighting especially in the summer! The colors appeared vibrant, and I saw some shades that I was even interested in trying out on my eyes! Just as with the blushes, they are soft, creamy, and lay well on the skin. According to the packages, they are the same new formula as the blushes. 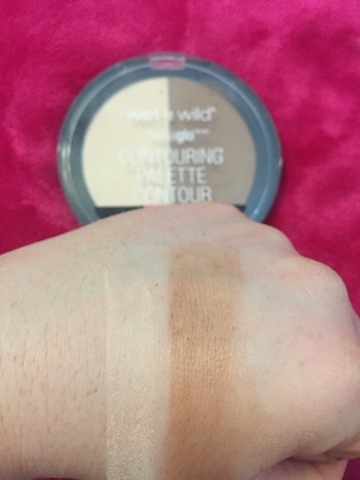 I was a little bit let down when I swatched them. 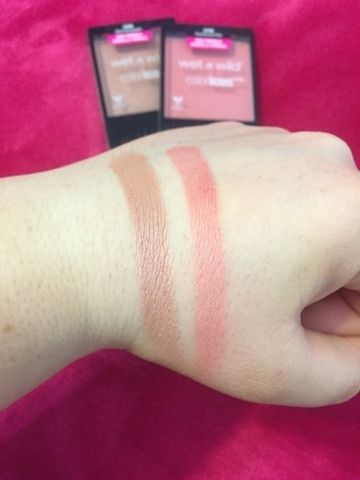 They still had a great consistency, similar to the blushes, but the color pay off was not as high. Even though they are not as pigmented as the blushes, they still look beautiful on the skin. I found swirling them together and placing that color on the cheek bones gives a glowy iridescent look! 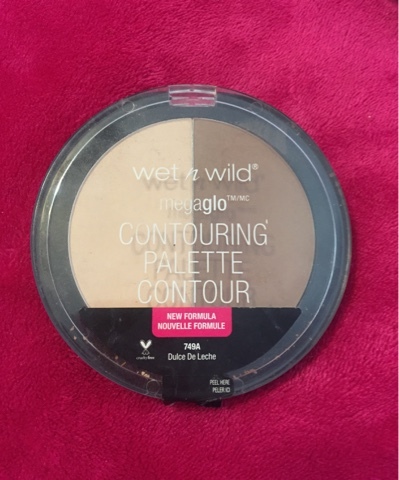 Also out of the Megaglo collection I picked up the contouring palette in the shade Dulce De Leche. Again, these had the same great consistency that all the other products with this new formula possess. Like the Illiminating pallete, I wasn’t super impressed with the swatches. 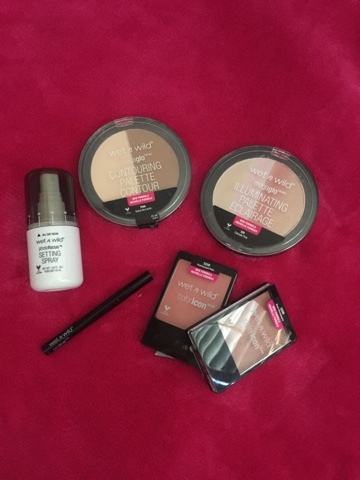 But once I got these powders on my face I was instantly hooked! They blend beautifully! 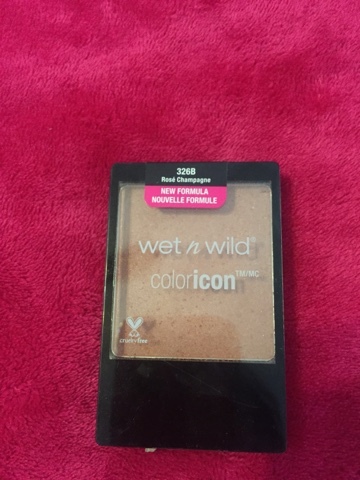 And the cooler toned bronzer is perfect for getting a strong contour. The banana shade powder also looks great under the eyes. It helps my concelar to stay in place all day. 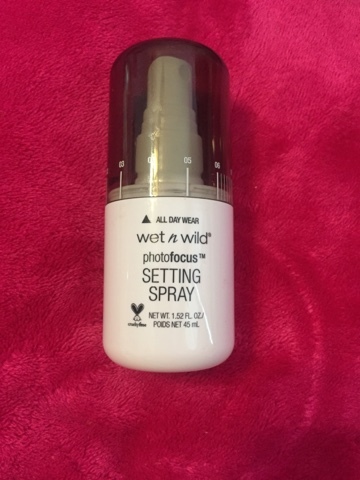 Moving away from powders, I picked up the ” All Day Wear Photofocus Setting Spray” So far I have been impressed with this setting spray. It’s not too heavy, and it leave my face feeling fresh opposed to wet. It doesn’t claim to be a Dewey or Matte finish, but I do find that is keeps my makeup locked in, and prevents me from getting oily. 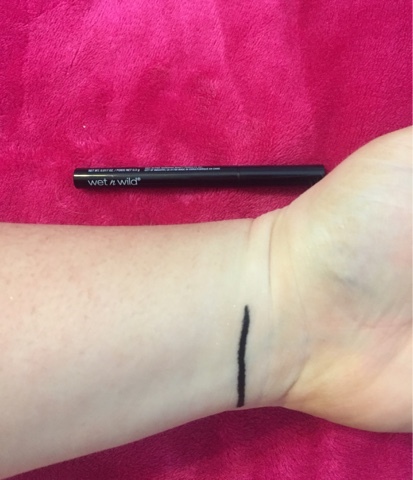 The last product I tried out was the “Fine Lines Felt Tip Liner” in black noir. I am a religious liquid eyeliner wearer, so I am always on the hunt for the next best thing. When I saw this on the shelf I knew I had to give it a try. It claims to give you ultimate control, that it is smudge proof, and that it is long wearing. I 100% agree with the control aspect. It’s super easy to glide along my eye and get a straight line. It is smudge proof, but isn’t the most long wearing eye liner I’ve ever worn. While I didn’t see a waterproof version when I was at the store, I bet the waterproof version would be more long wearing. The pigmentation however was amazing. It is super black, and it is easy to create a thin, or thick line. 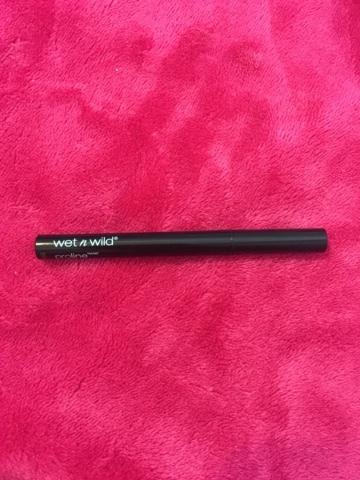 That wraps up my review on some of the new Wet and Wild products! Let me know if there are any other products from this line that I need to try! Pingback: Everyday Makeup Routine – Pinky and the Prep!